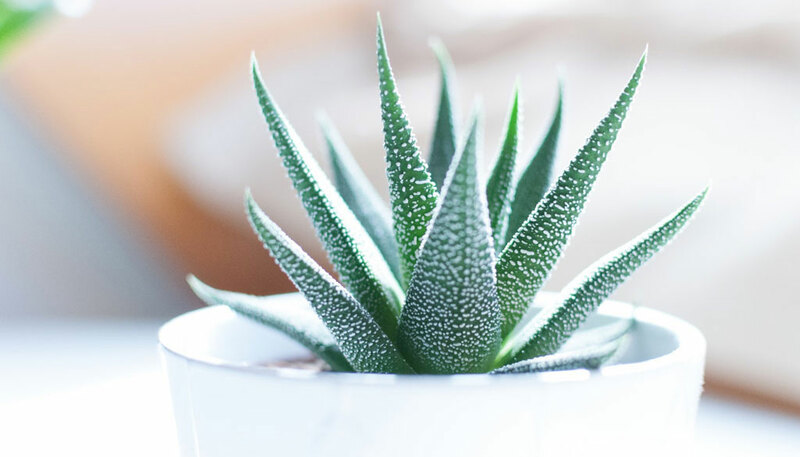 Biophilic design is more than bringing plants into a space; it focuses on the use of natural light, air quality, and acoustics as well as using texture both visually and in a multi-sensory way. 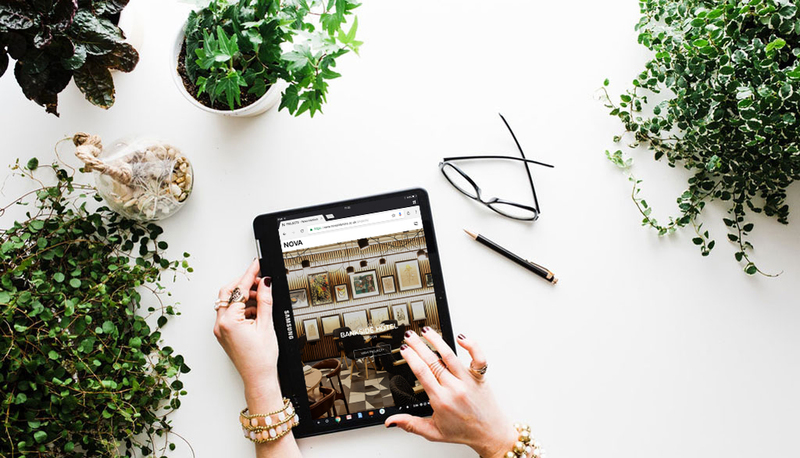 It is widely known that a Biophilic work space increases productivity and wellbeing of workers; interestingly it is only in the last few years that companies have begun to look at this design approach within the hospitality sector. 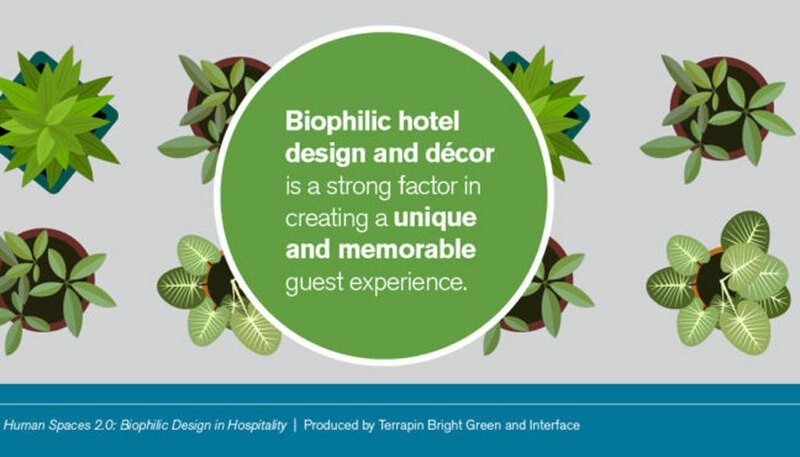 How does Biophilic design increase the chances of a guest having a memorable experience? Do guests show a preference towards areas with Biophilic design? Can the hospitality sector use this design style to increase the amount of time guests spend in their establishments? The answer simply is yes. At Nova we collaborate with designers on our projects to supply unique items using natural materials such as timber, rope, leather and stone. Here we will take a look at our recent projects such as Room2 in Southampton, The Swan Hotel in Southwold and Lanes of London in Mayfair whilst exploring just how Biophilic design can increase not only the wellbeing of staff and guests but productivity and profit as well. A view of nature isn’t always possible, so how can designers incorporate it into a design? When walking into one of the rooms in Room2 Southampton, the first thing that strikes you is the abundance of natural light and open space. Project Orange developed the Room2 in Southampton to highlight the role Southampton play in cross Atlantic travel with interior features similar to those on board cruise liners. 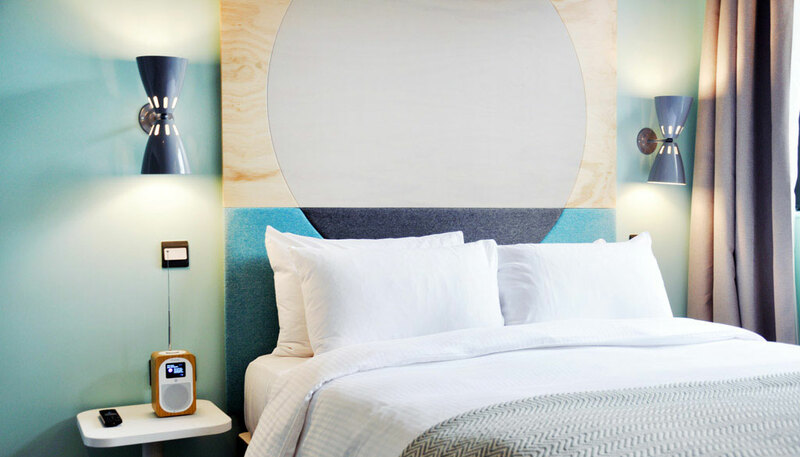 Calming hues of blue are repeated throughout the design, something which was incorporated into the design of the feature headboards to be used in all 70 rooms. The headboard features an upper plywood section with dual tone finish and a clear lacquer and white wash paint. The lower section shows our attention to detail and seamlessly continues the circular line through upholstery. It is this use of natural wood, natural light, calming hues and contrasting this with the textual element of the material that visually embodies Biophilic Design. 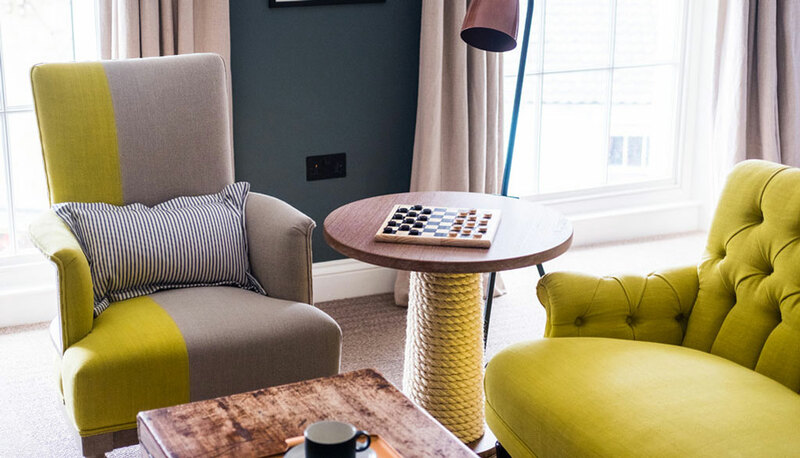 The use of wood in our designs can be seen at The Swan Hotel in Southwold, a project we were selected for due to our ability to supply custom furniture designs. We created bespoke four poster beds with distinctive turned posts as well as a side table with a unique feature, nodding to the hotels coastal location. The design used 20mm thick diameter rope wrapped around the main column of the side table, inviting the guest to engage with the surroundings, both inside and outside of the hotel. The temptation to touch something we find visually and textually appealing can be employed in design to engage with guests. Textiles are integral to many design projects, including leather upholstery and here at Nova we can design both classic and modern pieces dependant on the client’s needs. Our popular classic banquette seating, “The Button Back” was a design feature at the Fire and Lake Bar in Leeds. With a diamond pattern and deep button back, customers are encouraged to stay for one drink more with the warm and appealing environment that enables catching up with friends in an informal setting. Creating a feeling of warmth, calm and positive wellbeing is an important element of Biophilic Design. Our use of leather and wood within a design brief can be seen in the collaboration with interior designers BlackSheep, when Marriot Park Lane was refurbished in 2014. 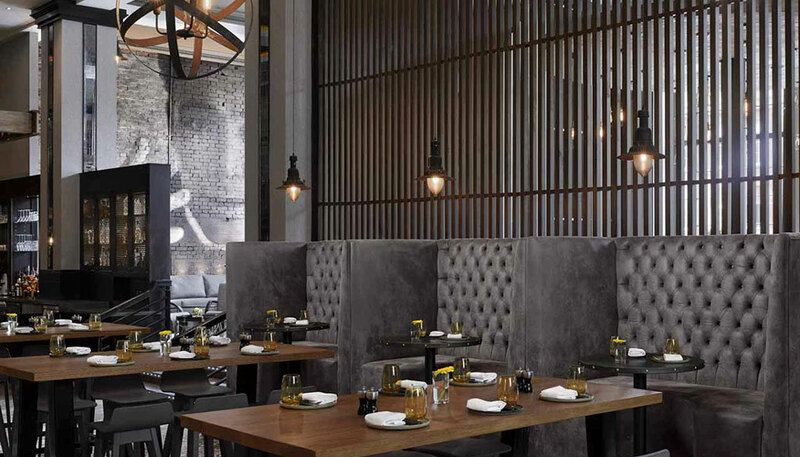 The brief was to reflect contemporary modern day London within the classic restaurant theme. Blacksheep chose brass, marble, antique pine and rustic oak, which we used for both loose and fixed furniture. 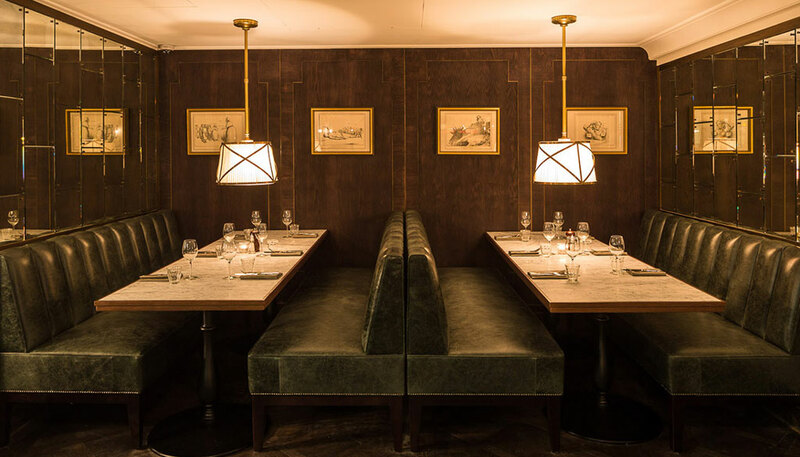 In the most intimate area of the restaurant we used green leather which not only exudes luxury and sophistication, but links to a more naturally aesthetic alongside rustic oak. Lighting was used to add to the intimate feel, inviting diners to feel more relaxed from the hustle and bustle of London. If a person feels relaxed, happy, calm and able to make human connections both with each other and their surroundings this inevitably leads to someone staying longer. Perhaps one round turns into another drink, staying for a meal, extending what was at first a quick meet up into a longer social experience. How will you incorporate Biophilic design in to your next project? PLEASE ENJOY OUR WEBSITE AND CONTACT OUR TEAM BY EMAILING SALES@NOVAINTERIORS.CO.UK IF YOU WOULD LIKE TO FIND OUT MORE ABOUT OUR SERVICES.